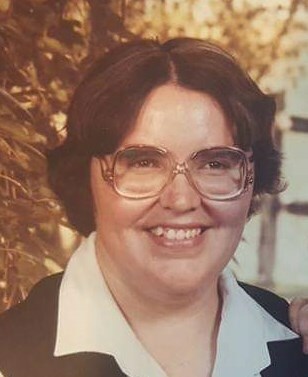 Nancy Taylor, age 64 of Macomb, passed away at 4:10 A.M. on January 31, 2019 at Generations at Rock Island, Illinois. Nancy was born on March 1, 1954, the daughter of Arthur and Helen Klossing Brewer. Nancy is survived by one daughter, Laura (Gene) Drebenstedt of Burlington, Iowa; one son, Charles Taylor of Rock Island, Illinois; four sisters, Patricia Seaver of Macomb, Judith Cheeseman of Industry, Sheila Kelley of Industry, Mary Dunn of Plymouth; one brother, Steve Brewer of Industry and several nieces and nephews. Nancy was preceded in death by her parents; one nephew, Scott Brewer, and two great-nieces. Nancy graduated from Spoon River College with a degree in nursing. She lived in Macomb all her life and was a licensed practicing nurse at Methodist Hospital in Peoria, Illinois. She was affiliated with the McDonough County Democrats and loved animals and birds. Funeral services will be held on Monday, February 4, 2019 at 6:00 p.m. at Clugston-Tibbitts Funeral Home in Macomb. Rev. Lee Unger will officiate. Visitation will be held from 4:00 p.m. until 6:00 p.m. prior to services on Monday at the funeral home. Cremation rites will be accorded following the services and graveside burial of ashes will be held at Industry Cemetery at a later date. Memorials may be made to the McDonough County Animal Shelter or to the Nancy Taylor Memorial Fund.